LG has seen a 32 percent decline in its mobile phone business in the past three months, but is pinning its hopes on the LG Optimus One and new Windows 7 handsets to turn things around. LG's latest quarterly financial figures showed a big increase in the number of televisions sold, but a significant downturn in the company's mobile phone revenues. The Korean giant's third quarter financial results revealed that the company's sales figures of 28.4 million handsets represented a 32 per cent decline. "The global introduction of the Optimus One smartphone and new Windows Phone 7 models are expected to generate a positive response from consumers in the coming months," stated the company. 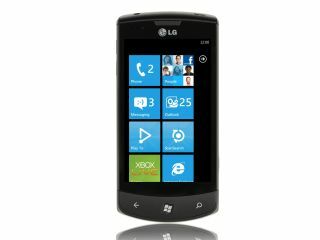 The LG Optimus One is clearly a key launch for LG, but it will also be interesting to see if the LG Optimus 7 – with Windows Phone 7 – can help the company bounce back. "Stronger competitiveness in global smartphones, Nano FULL LED technology and consumer-friendly energy efficient products, combined with anticipated strong sales during the holiday season, are expected to contribute to the company's overall performance in the future," concluded LG.